There are many myths about weight loss that are still prevalent in the fitness industry that cause way more problems than they solve. Here’s 5 of the most widely known and believed. Myth 1: You must count calories daily and create a deficit in order to lose weight. You will lose weight simply by exercise and burning more calories than what you eat. This myth of eating less and exercising more has been busted. It’s actually very difficult to lose weight when you are nutritionally starving. Five hundred calories of grass fed beef along with healthy veggies will never be the same as eating 500 calories of your favorite dessert. Myth 2: Cardio is the key to stimulating your metabolism to burn fat and you need to be doing lots of it. Busted. The truth is, low intensity cardio workouts are POOR metabolic stimulators. In fact they actually slow down your metabolism by encouraging your body to give up the fat-burning muscle it requires for peak metabolic efficiency. Strength training is the way to go. It is better for you and it boosts your body’s fat burning activity. Myth 3: You need to be exercising every day or at least 6 days a week…sometimes twice a day to see any serious changed in your body. Truth is exercise is good but you want to make sure you are exercising “smart”…you must focus on quality rather than quantity. Myth 4: In order to lose weight you must eat a lot of health foods. Unfortunately many of the foods labeled as health foods are nutritionally deficient. You may as well be eating ‘empty calories”. You might choose a salad in a restaurant thinking that it contains less calories than the cheeseburger you gave up…but in reality if they have slathered unhealthy oil or sugar-laden dressing on your salad it will actually make you fat. Myth 5: You must cut down on your fat intake for fat loss strategies to be effective. Truth is, fats are not your problem…they are not your enemy. Eating unhealthy fats are the problem and the cause of your putting on weight. The above myths simply are not true and there are dozens more than you might not be aware of that are affecting your ability to lose weight because of your beliefs. There are no shortcuts in life, however your simple commitment and dedication is all you need along with a great education on what it’s going to take to lose that stubborn weight. I can’t give you the commitment or dedication but I can offer you everything I’ve learned in my own journey to creating a vitally strong healthy, hormonal balanced body…”Stop Weight Loss Resistance”. If you feel you might have a weight resistant issue, check out my 60 second Weight Loss Resistant test to find out how you fare on the Weight Loss Resistance Scale. 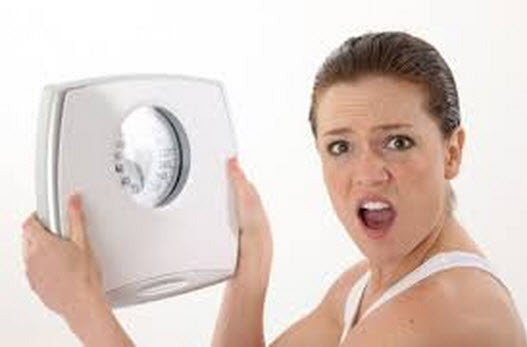 The higher you are on the scale the less likely you will be able to maintain a healthy trim body with maximum health in the years ahead unless you address the issue.